Been taking my car to Mini of Allentown for regular maintenance and state inspections since purchasing. Luis and the rest of the Service Department treat you well and always keep you informed regarding the progress of your vehicle. My daughter takes her Mini Paceman there as well. We wouldn't take our Mini's anywhere else!!!! Scheduled maintenance service online, and they followed through flawlessly. Friendly, professional staff, great service and quick in and out. Robin informed me of the service contract that was still valid on my Mini. What a great surprise! Wonderful, professional service, and covered under warranty to boot! That doesn't happen every day. Great dealer, I'll be back. I have worked with Keith Rentschler multiple times. Every time he was extremely helpful and always friendly. If you are in the market for a vehicle I would highly recommend going to see Keith!! Matt was very pleasant and patient and made the experience fun. He explained everything clearly.I loved it when we went out for a spin and I fell in love with the car. Everyone at the dealership was great and very accommodating.I would and have told people about them. This is the best dealership and garage for MINI's. If you own a MINI and need anything fixed or want a new MINI go here. I had a garage screw up my car and I took it to MINI and they took amazing care of me. Brought my car back to 100% and washed it even!!! They showed my the difference in the parts they put in and gave me a bunch of helpful information. These guy are saints when it comes to MINI's. Got a life time customer. (FYI: They do pick up and delivery for people that are busy or don't live in the area). Luis deserves a bonus for his services, that dude is the bee's knees when it come to being helpful! I have used a lot of dealers over the years. 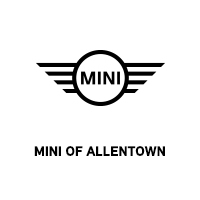 Mini of Allentown is by far the best! They always do quality work and most of the time I don't have to wait too long. Robin finds ways to save me money. I bought 4 tires a few months back and found out during this visit that I had a nail in one of my tires. Without my asking Robin checked and found out I had a road hazard warranty with the tire purchase and he replaced the tire and only charged labor. service was superb - great attention to detail, way above and beyond norm - Robin was very friendly - service on car was outstanding and much appreciated - excellent! I've gone to several dealerships with past vehicles (not a mini) and was always left with a bad feeling of getting ripped off, however in this case I actually felt great about the whole experience. Robin was up front from the start and wasn't pushy about getting work done that actually was due till July. Thanks again and I will look forward to returning for my next check up. Completely painless lol!! 11 out of 10 stars as usual. I have no complaints and the service was excellent. Robin is always extremely kind, courteous and professional and I highly recommend working with him for your MINI!